The first English child born in the New World was Virginia Dare on August 18, 1587, at Fort Raleigh on Roanoke Island. Virginia Dare and the colonists of Fort Raleigh would become known as “The Lost Colony” … their disappearance still an unsolved mystery. In 1902, Reginald Fessenden made the first application of a successful, commercially – adaptable technique of radio communications in North America and perhaps the entire world. His experiments and invention of the wireless telegraph and telephone were made between a station located on Roanoke Island and a section station in Buxton. After leaving North Carolina, Fessenden went on to establish the first commercial Trans-Atlantic two-way radio-telegraph service in 1905, two years before the world renowned Marconi. Then, in 1906, Fessenden’s station in Massachusetts broadcasted the world’s first radio program for entertainment. Dare County covers 800 square miles, comprising 391 square miles of land and 409 square miles of water. This means over half of Dare County is water, and 80% will never be developed because its in some kind of conservation area, such as a National Park, U.S. Wildlife Refuge, state park or shoreline. “The Lost Colony,” performed at the Waterside Theater on Roanoke Island, is the oldest-running outdoor symphonic drama in the country. The War Between the States brought several battles to the Outer Banks. At Hatteras Inlet (August 1861), at Chicamacomico (October 1861) and on Roanoke Island (February 1862), the Federals won their first victories of the war and established control over the Outer Banks. The inhabitants were not strongly attached to the Southern cause, and many took the oath of allegiance to the United States. The oldest and shortest lighthouse in North Carolina is the Ocracoke Lighthouse. It’s the second oldest operational lighthouse in the United States. More than 365 species of birds have been identified at the Pea Island National Wildlife Refuge, located on the north end of Hatteras Island. Bird list boasts more than 365 species; wildlife list has 25 species of mammals, 24 species of reptiles, and 5 species (low number due to salt environment) of amphibians. 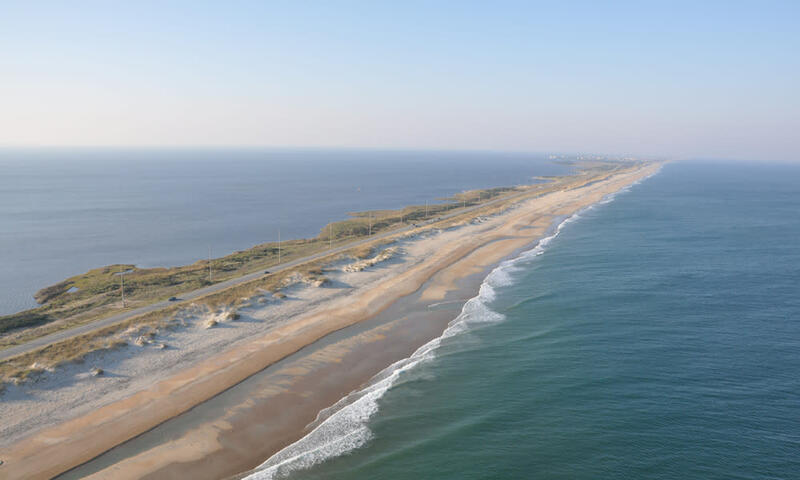 About The Outer Banks The Outer Banks of North Carolina is a chain of barrier islands midway on the Atlantic Seaboard. 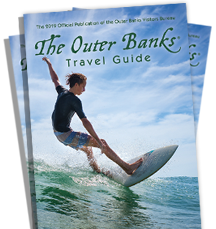 The Outer Banks Visitors Bureau is a public authority and the lead marketing and promotional agency for Dare County&apos;s Outer Banks. The Bureau’s web site is www.outerbanks.org.